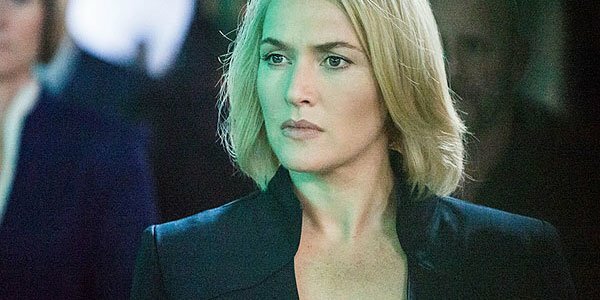 Kate Winslet is unquestionably one of the best actors of her generation, so it’s not exactly hard to understand why a major movie franchise would want to try and keep her around… even after her character had been killed off. Unfortunately, this was the position that the on-going Divergent Series found itself in following the conclusion of The Divergent Series: Insurgent, which featured Winslet’s Jeanine being shot in the head by Naomi Watts’ Evelyn Johnson-Eaton. Despite these events director Robert Schwentke continued to try and invent ideas to keep the actress around, and he actually wound up pitching a rather crazy idea featuring a well-placed Band-Aid. Robert Schwentke loved directing her so much that he came in and very seriously proposed to the group, ‘I have an idea. When we start the next movie, she’ll have a Band-Aid on her head.’ He just loved working with her! One could make the argument that any movie is lesser for not featuring Kate Winslet, but there is a plus side to The Divergent Series: Allegiant, which is that the cast is still loaded with fantastic talented actresses including Shailene Woodley, Naomi Watts and Zoe Kravitz. You’ll be able to see them back in action next week, as the film arrives in theaters March 18th.